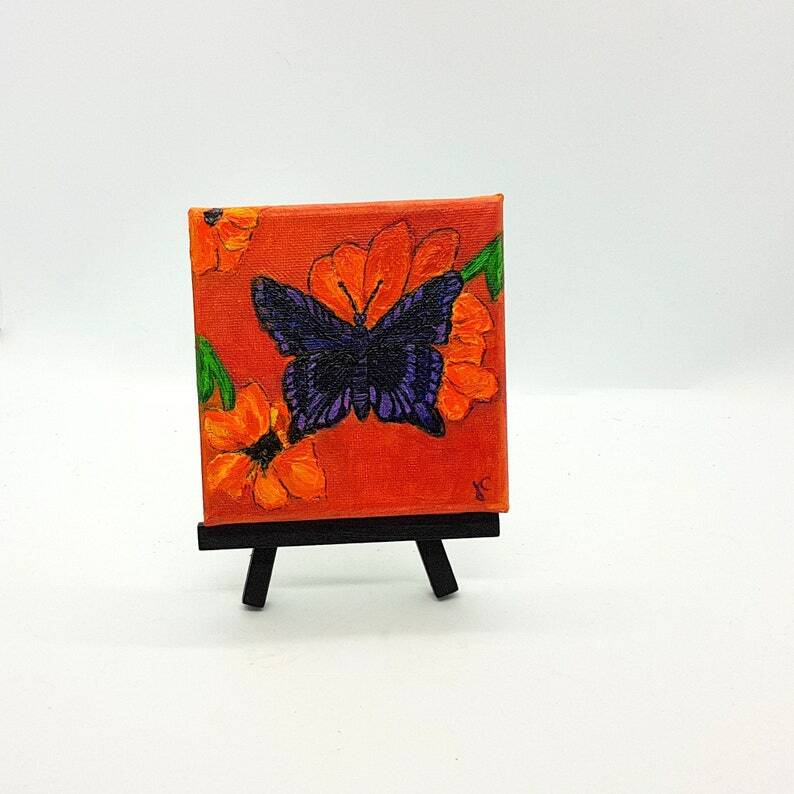 "Butterfly with Flowers" I love how this tiny miniature butterfly painting is so colorful, As if Spring was right there! Measures 4 x 4 x .5 inch (10 x 10 x 1.5 cm) and is hand painted by Jen Curtis. I've used a layering technique to add depth, texture and dimension to this little piece. Over the initial layers of pallet knife and acrylics I've added an additional layer of watercolor paints to increase the luminosity. It's all sealed after for protection. Comes unframed or you can choose to add the little easel shown in the photos. Please note: I have taken some outdoor photos and indoor with a light box. Please be aware that your computer screen may show slightly different colors. This listing is for the art piece shown in the first few photos - all other photos are of different floral listings available separately... thank you! 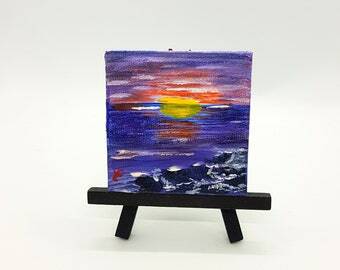 1) Just the art - mini art measuring 4 x 4 x .5 inches, painted on canvas over a wood frame. You can arrange to have this framed in a small frame or with the use of large mattes you can make a big statement in a larger frame! Your art will come wrapped in tissue with a hard board insert for protection! 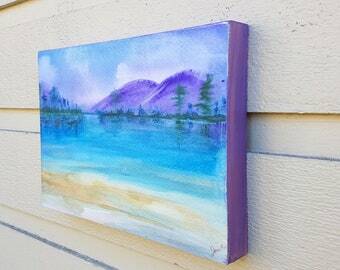 I have used acrylic paints on canvas and it has my initials on the front and my website on the back.